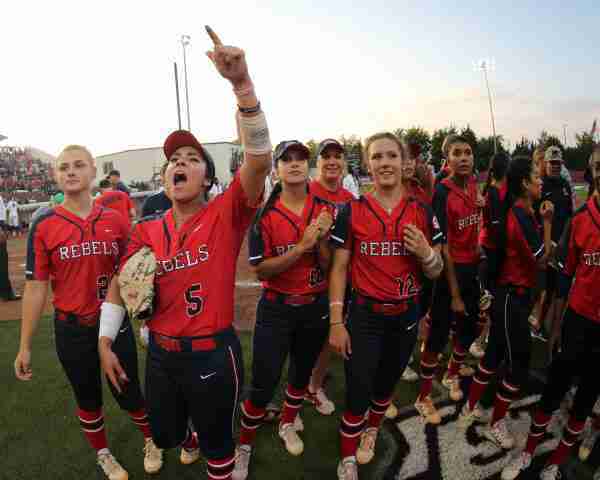 The Ole Miss softball team has had a phenomenal season—and it will continue with the program’s first-ever berth in the NCAA Tournament. The tournament field was announced Sunday evening on ESPNU, and the Rebels were elated to find out they are one of the 64 teams who will be competing. Ole Miss (39-20) is in the Norman Regional and will face Tulsa (35-19) Friday, May 20, at 5:30 p.m. (CT). The double-elimination regional also includes host Oklahoma (47-4), the No. 3 national seed, and Wichita State (35-19). Ole Miss is one of 11 teams from the Southeastern Conference to earn a spot in the NCAA Tournament. Eight of the national seeds (Florida, Auburn, Alabama, Kentucky, LSU, Tennessee, Missouri, Georgia) are SEC teams–and the Rebels defeated four of these. The Rebels’ game vs. Tulsa will air on ESPN3. All-Session tickets for the Norman Regional will go on sale at 10:00 a.m. Monday morning on SoonerSports.com, and on the phone by calling 405-325-2424. Tickets are $40 for reserved seating, $25 for general admission and $20 for youth (2-18) and Senior Citizens (55+). The winner of the Norman Regional will advance on to Super Regionals, May 26-29, to face the winner of the Louisiana-Lafayette regional, which includes the No. 14 overall seed Ragin’ Cajuns, as well as Texas A&M, Texas and Boston.